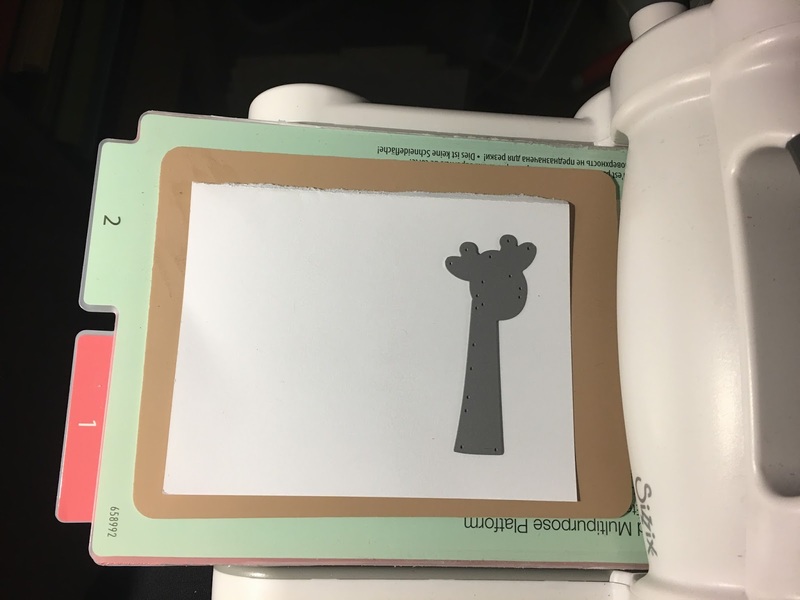 After running it through, the giraffe will look like the pic on the left, and then you cut him out, like the beginnings of the pic on the right, to have a whole, secure piece to adhere all the little die cut pieces onto. Hope this all makes sense:)! 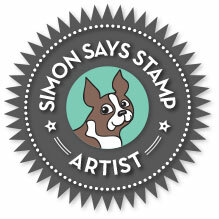 Embossing with a piece of burlap???? I kept reading through your blog post trying to figure out which embossing folder you used. You, my Friend, are GENIUS!!! 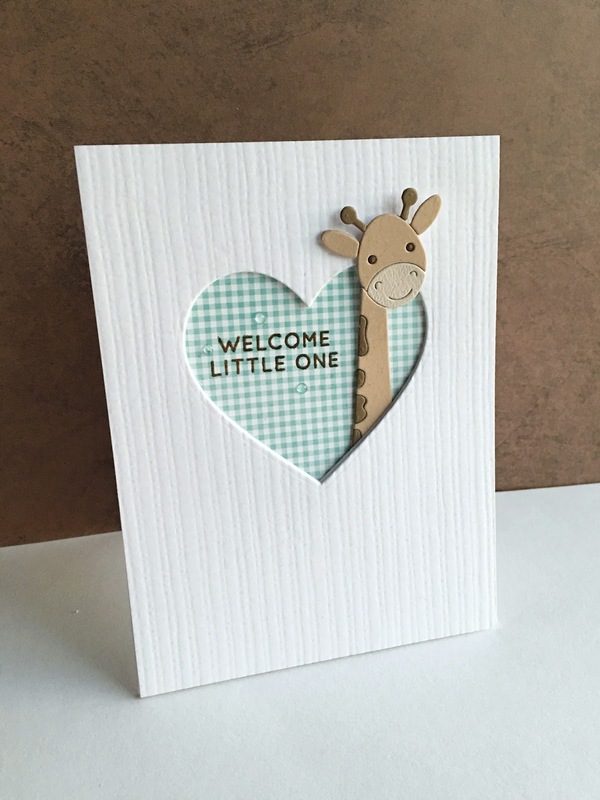 What an amazing idea - and it looks adorable with this card design. 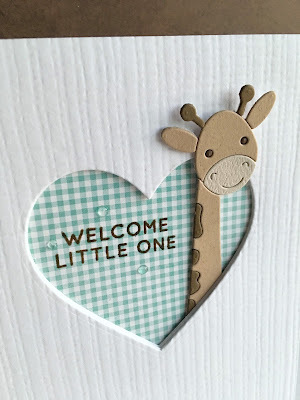 PERFECT baby card!!!! This is such a sweet card! 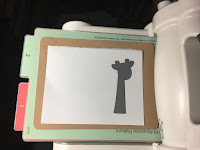 Can you tell me how you emboss the giraffe that you hand cut? Hi Maggie, I've edited the post and added a few pictures showing you what I did:)! Hope that helps...hugs!! Thank you so much, that is very helpful! Super cute! So impressed by your talent and creativity. Very cute, Lisa. 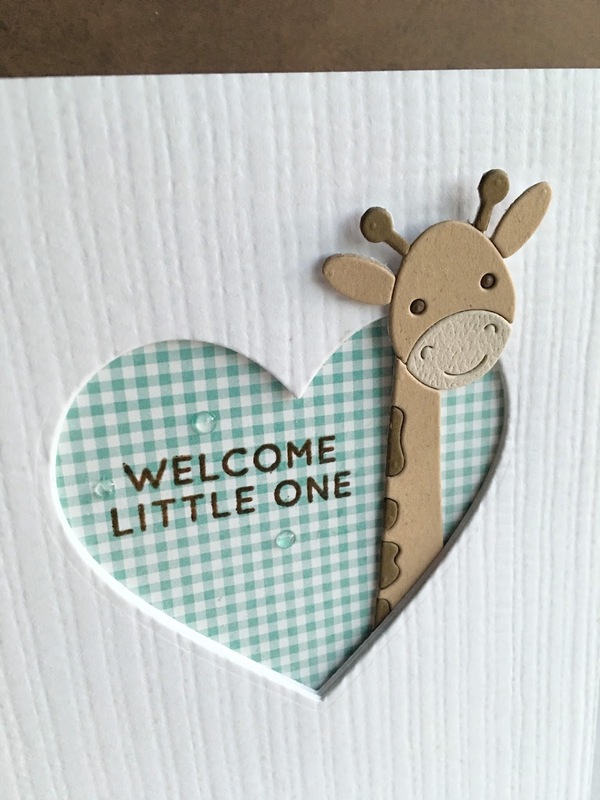 The giraffe is adorable, especially popping out of the heart. I always love your designs. Thanks for the inspiration. 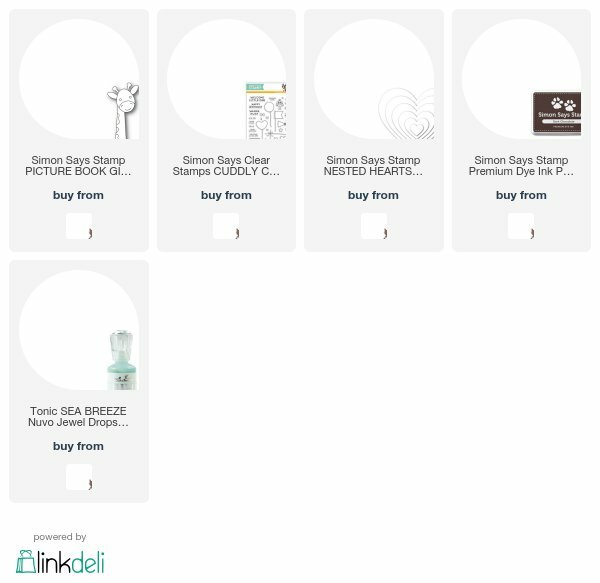 I finally made a pinterest file just for your adoraable stuff so I can remember where I saw all those cute things! You DO inspire! Thank you. Super cute and sooo clever using the burlap for the background. Your blog is one of my all time favorites. You do beautiful work. Such an adorable baby card!! Did you actually use a piece of burlap to emboss the card? Or is there a burlap embossing folder?